The Ritz-Carlton, Denver announced that Dewiet Miller has accepted a promotion as director of operations for the Mile High City’s only AAA Five-Diamond hotel. The last three years Miller served as director of food and beverage at the downtown property, overseeing all F&B and culinary operations including Elway’s Downtown, the steakhouse located on the lobby level of the hotel. In his new role, he will spearhead daily hotel operations for the rooms and food and beverage divisions. 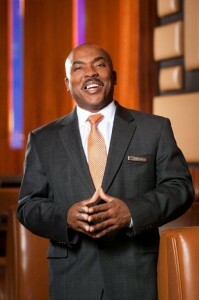 Miller joined The Ritz-Carlton Hotel Company in 2000 with the opening of the golf and beach resort, The Ritz-Carlton, Rose Hall, Jamaica, where he spent five years in various food and beverage positions. Prior to arriving in Denver, Dewiet worked in St. Thomas as director of operations for The Ritz-Carlton Club a 105-unit/286 room fractional ownership resort. The customer service fanatic (he’s tops in my book) is an avid Denver Nuggets fan who enjoys all sporting activities and the beauty of the Rocky Mountains with his family. The slimming detox mud wrap at The Ritz-Carlton spa is a 75-minute pampering escape from reality. I highly recommend it. My anniversary present, just what I wanted!